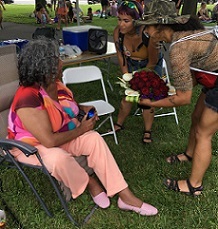 Shortly after the Columbus Community Pride festival started on Saturday, June 16 at Mayme Moore Park in Columbus, Miss Major Griffin-Gracy – an activist for more than 50 plus years fighting for Black Tran’s Liberation – gave a speech on stage to kick things off. 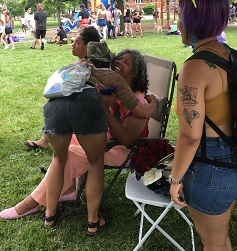 She talked about how the LGBTQIA+ Community needs to continue to be more inclusive for the sake of Stonewalls Pride Festival and the importance of staying true to what the festival stands for. 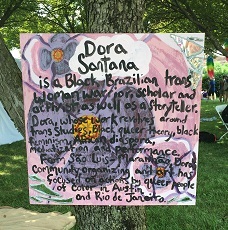 Many people who felt forgotten as Ariana Steele said, including a young artist who belongs to the Diné – popularly referred to as the Navajo by Europeans who colonized America – Tribe. You can see some of her art @artistlivbarney on Instagram. This young artist, who goes by the name Liv Barney, shared with us why she, along with other Native people living in today’s times, feel left behind. 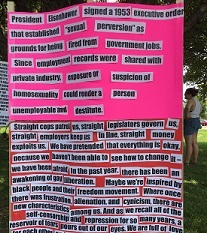 She also explained to us what her art stands for, why she makes it and what she hopes people take from it. 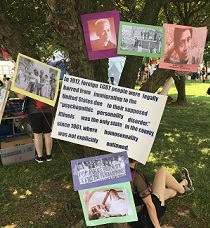 The Columbus Community Pride Festival's mission was to do everything it could to stay true to their values and to stay true to the purpose of the event without being hypocritical. They even went as far as not having the Highland Security and Investigations run security for them after recent news that this security firm, has contracted with ICE and let police officers work for them. 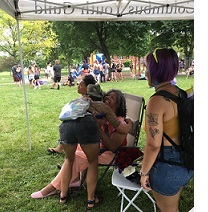 Helen explained what the Columbus Pride Festival did for security: “With the help of the amazing community, we we’re able to organize in ten plus hours, a community security of our own… we’ve had a lot of professionals, street medics, legal observers and people knowledgeable about de-escalation and self-defense, come in and provide three quick trainings throughout the last three days with one just ending this morning.” Helen said that they had evacuation plans put in place as well as 16 individuals who were tasked with circling the perimeter, along with the parking lots, at all times. 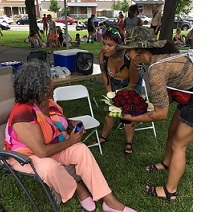 The Free Press had the honor of meeting and speaking with Miss Major Griffin-Gracy herself to hear her thoughts on Columbus Community Pride and what it means to her. 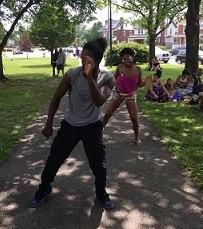 “This is an accumulation of girls who have died and struggled and fought for it to get to here. So seeing this is a beautiful thing because you just see a mixture of people. A gathering of folks who are a community and accepting and realizing that. This is to stand up and do something to let them know that we’re not going to be pushed aside. We’re not going to be stepped on, murdered and killed without raising hell about it. 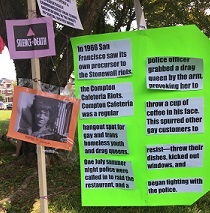 This pride event to me is a wonderful thing. It gives me strength to get through what’s coming next and it erases the harm and danger and fear I’ve went through to get here. People need to know about it and support it to help get rid of the prejudices and harm that this country is perpetrating right now. 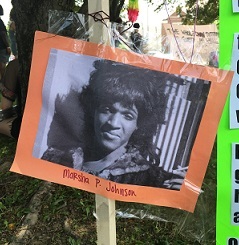 We need to care about one another, hear the people of the LGBTQIA+ communities’ stories and love who they are.” That is the message that Miss Major Griffin-Gracy left The Free Press with.